Our decision to travel to Istanbul at the height of low season was an easy one to make. 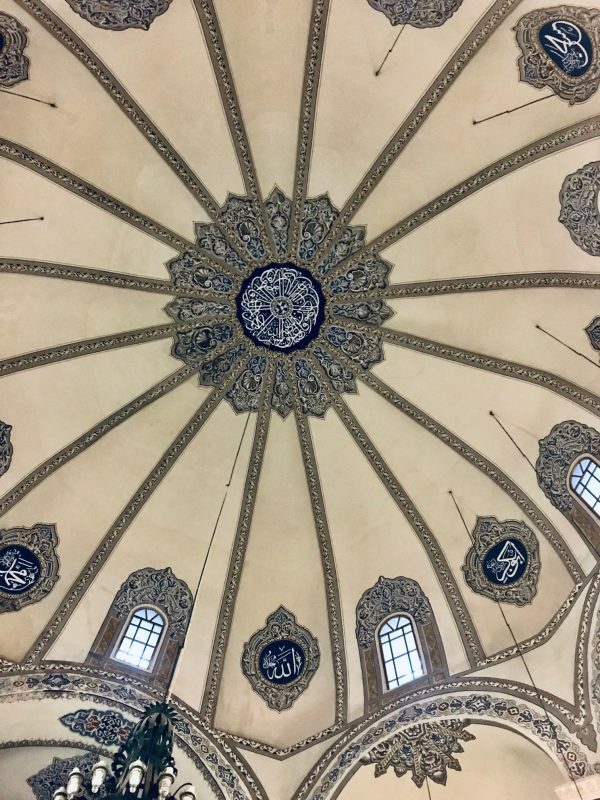 Flights were open, hotel deals were abundant, and we were guaranteed a less crowded visit to some of Istanbul’s most popular attractions. There was one downside though—the forecast was for wet and frigid weather. As always the weather and my planned activities dictate what I pack. My rain trench coat and waterproof boots came in handy as did all the sweaters I brought along for layering in anticipation of the cold temperatures. Cabs are fairly inexpensive in Istanbul but since we only had five days we opted for car service provided by our hotel to get us through immigration swiftly. Only 45 minutes away from the airport we arrived at the Ritz Carlton. 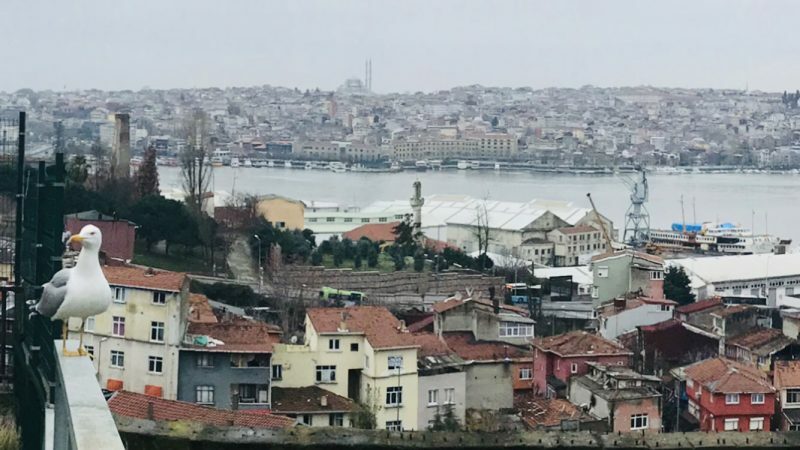 Upon arrival we were greeted with all the bells and whistles you would expect from a 5-star hotel but we were also treated to a room upgrade with a full view of the Bosphorus. 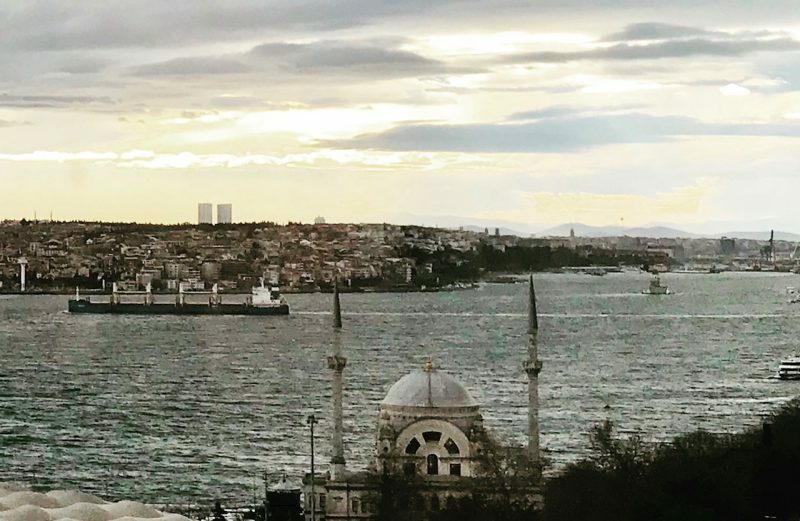 Istanbul is the only city that sits in two continents, Asia and Europe, and it is the Bosphorus Strait that separates the two continents. It’s quite stunning to drive into Istanbul from the airport. The beauty of the landscape is populated with mosques, bridges, lots of marine activity and ancient architecture. We didn’t have time to do much on our first day except unpack and check with Eater, a wonderful travel dining guide, for a recommendation. 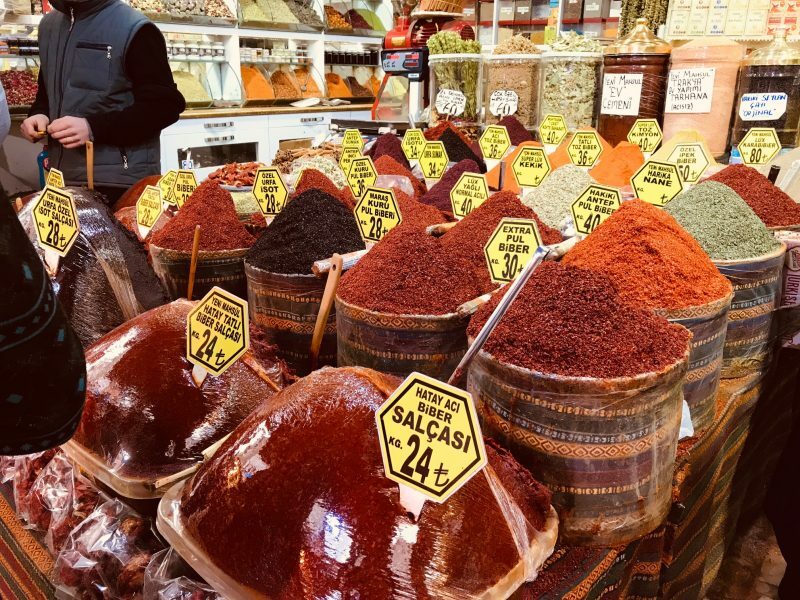 You can eat well in Istanbul without putting a significant dent on your credit cards. But we were on vacation and were all about dinging up our credit cards with a few extraordinary meals. 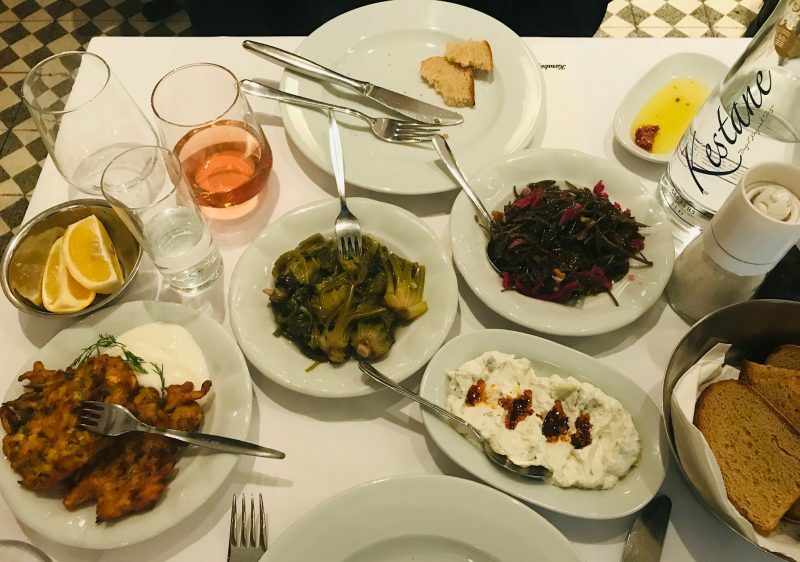 We chose Mikla for our first meal which was about a 45 minute walk from our hotel along the cobblestone street of Istiklal Avenue. 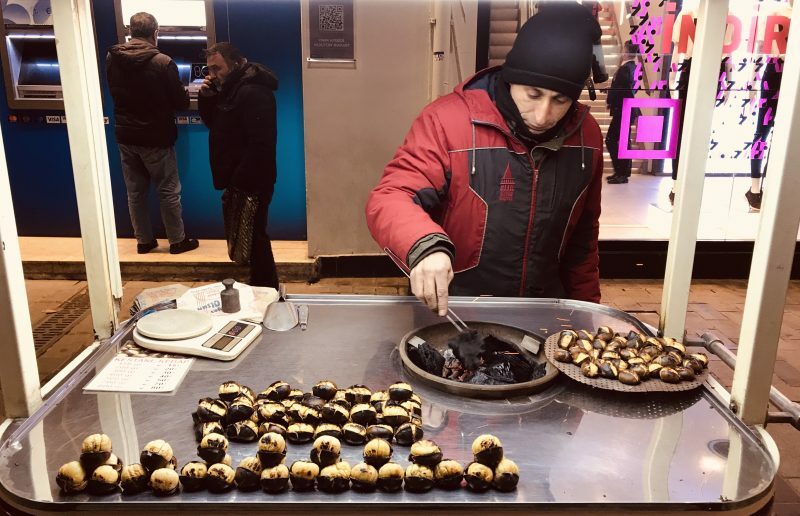 Known as the Grand Avenue during the Ottoman period this bustling street has it all, hotels, restaurants, street merchants selling freshly roasted chestnuts, and shops featuring Turkish specialties. This meal was on the expensive side of our restaurant experience but it was still a value. Mikla is located on top of a high-rise and boasts a spectacular view. But it was the food that worth mentioning because it was outstanding!. 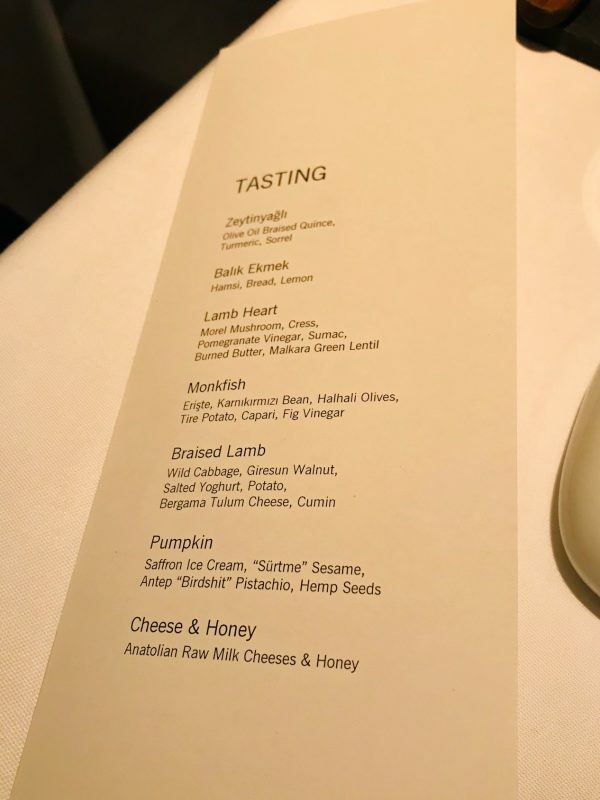 We opted for the tasting menu which included seven courses. Everything was paired with a Turkish wine all of which was mind-blowing fantastic. Before you gasp at the thought of consuming all of these divine courses in one meal keep in mind the portions are small and nicely spaced out. We hadn’t planned out our next day so we let it unfold on its own. The morning began with coffee and another review from Eater. 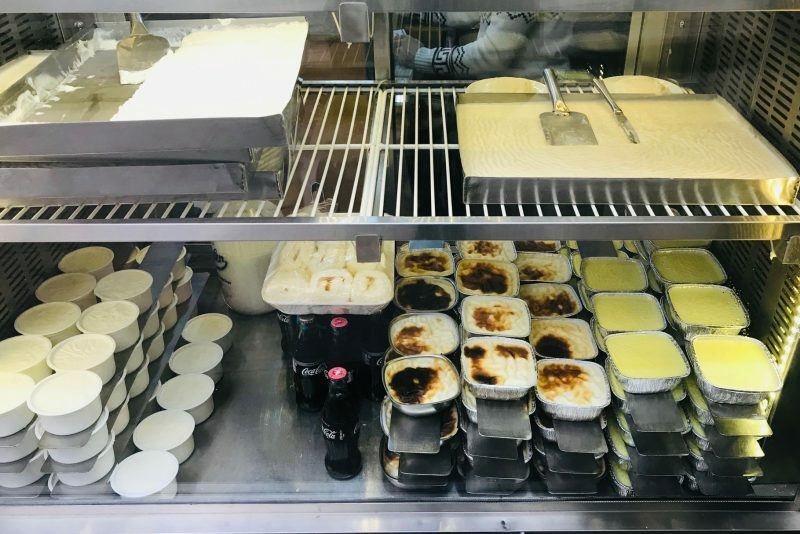 We started our day with a walk over to Oskonak Muhallebicisi for some highly recommended Kazandibi, milk pudding made with shredded chicken. I know it sounds awful but according to the reviewer it is a must when in Istanbul. In the back of the restaurant you order by choosing from the selection of warm dishes in a cafeteria-like setting. This meal was not one that inspires enthusiasm but all the locals around us seemed to be enjoying theirs. Did we order wrong? Possibly. We did finish our lunch with the chicken pudding and it was gorgeous! It tasted nothing like chicken and more like a slightly sweet and velvety custard. After an espresso we walked across the street for the infamous haircut, straight-edge shave, and ear hair removal (that’s right, ear hair removal) that Turkey is known for. My travel companion, Stephen, happily lifted himself onto a chair for the best barber experience of his life! The barber deftly attended to the haircut and shave but it was the small torch he lit and waved dangerously close to Stephen’s ears that got my attention (and his)! 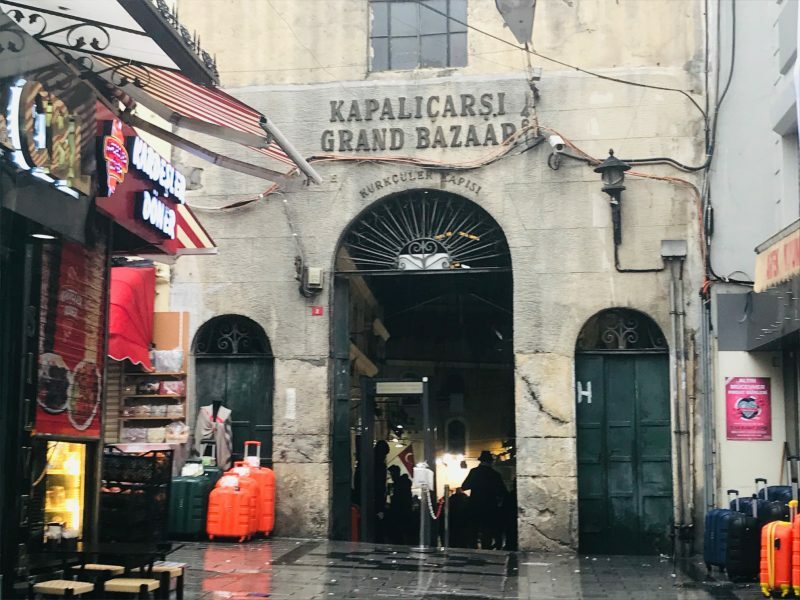 It began to pour so we grabbed a cab to the Grand Bazaar which is the oldest and largest covered market in the world. This bustling Bazaar has everything—rugs, clothing, jewelry, food, spices, and anything else you can imagine. It didn’t take us long to realize that it was best not to engage in any type of chit-chat with the merchants unless we were serious about purchasing. Turkish people are incredibly friendly and will charm you with their affable banter and sweet talk you with tea and confections. 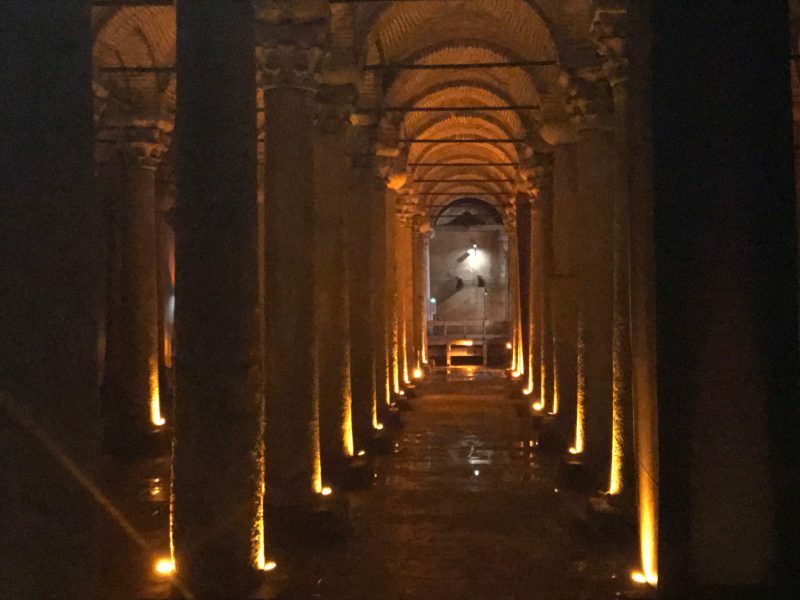 The Basilica Cistern is enormous and capable of holding over 20 million gallons of water. From the Bazaar we walked to the Basilica Cistern which is in the same area as the Blue Mosque and Hagia Sophia. It is located on the historical peninsula of Sarayburnu. Walking down into the cistern we were immediately struck by the depth and volume of this treasure. The practice of whirling is a form of active prayer which originated with the Sufis and had us mesmerized. The Whirling Dervishes were next on our list. The performance is an hour long and keep in mind there are no videos or pictures allowed. 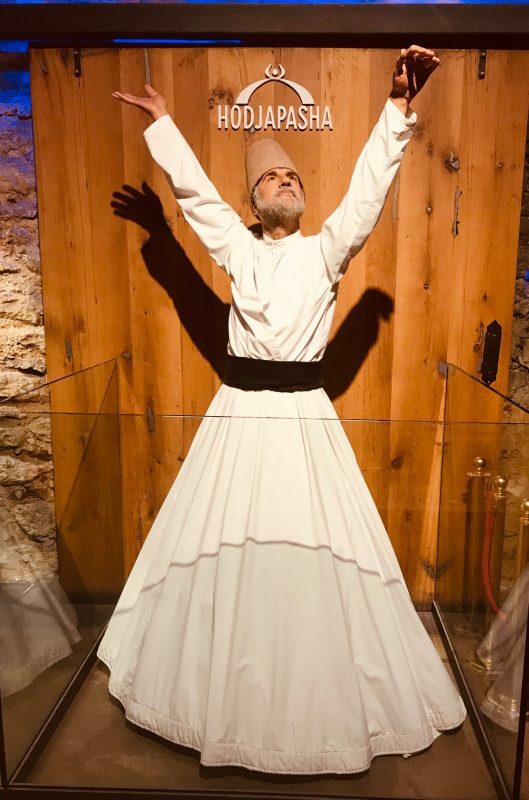 For good reason too—your attention should be fixed on the hypnotic and concise movement of the Dervishes and their musical accompaniment. 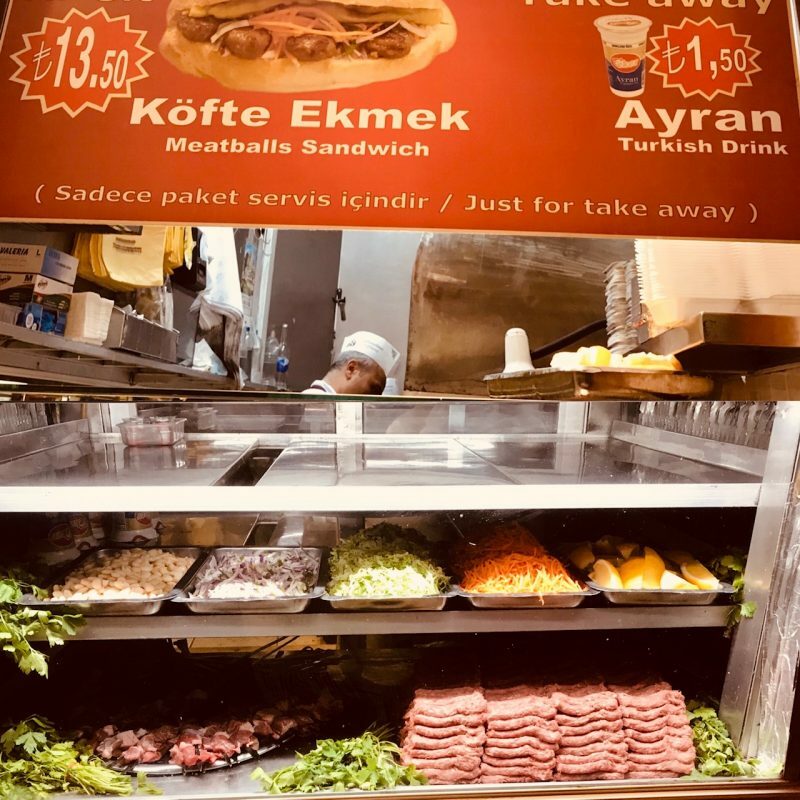 You can eat very well and very cheaply in Istanbul. You can also spend more and take your epicurean experience to the next level. We did a little of both. On our second night we made a reservation at Murver located on the top floor of Novotel Istanbul. Murver has a hipster vibe. Its open kitchen with an expansive grilling oven is surrounded by a large curved bar where you can dine and watch the action in their kitchen. We opted for a table and were seated right next to the enormous glassed-in meat container on one side and peninsula view on the other. 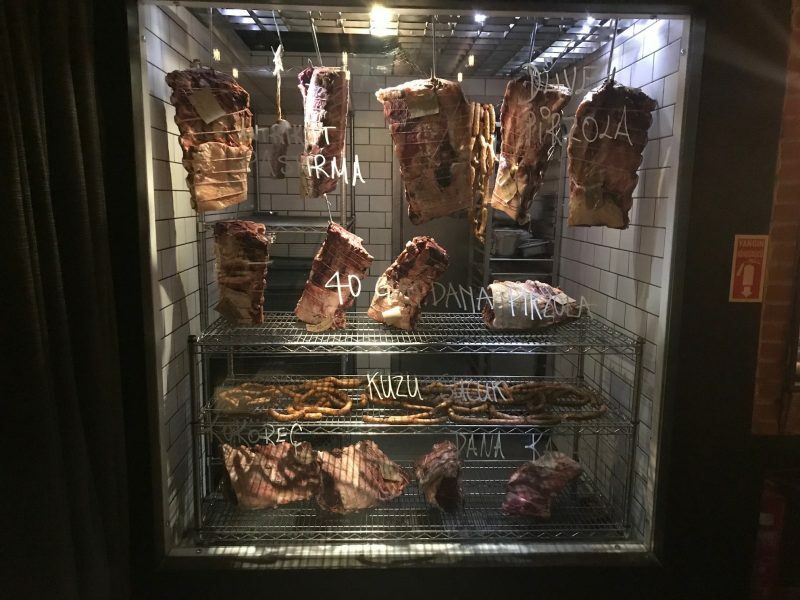 Murver serves up traditional Turkish mezzas with wonderfully smoked and grilled foods. We started our meal with octopus and sparkling wine—delicious! 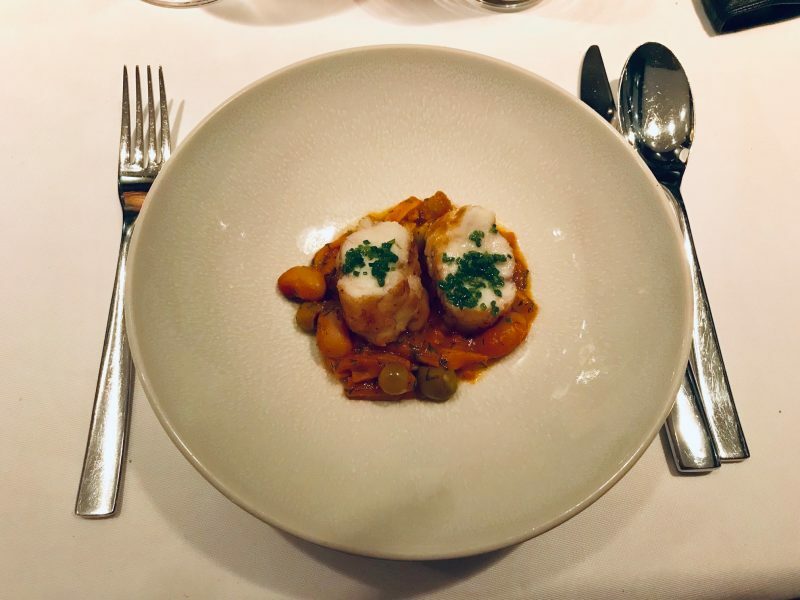 We continued with a dish of fresh trout, gorgeous aged beef with marrow and a plate of beautifully braised seasonal vegetables and roast garlic with a bottle of Turkish wine —my compliments to the chef! It is worth noting that all the wines we had were exceptional. For the next two days we scheduled a guided tour through the city with Alp* who works solely through referrals. Alp was an absolute treasure. 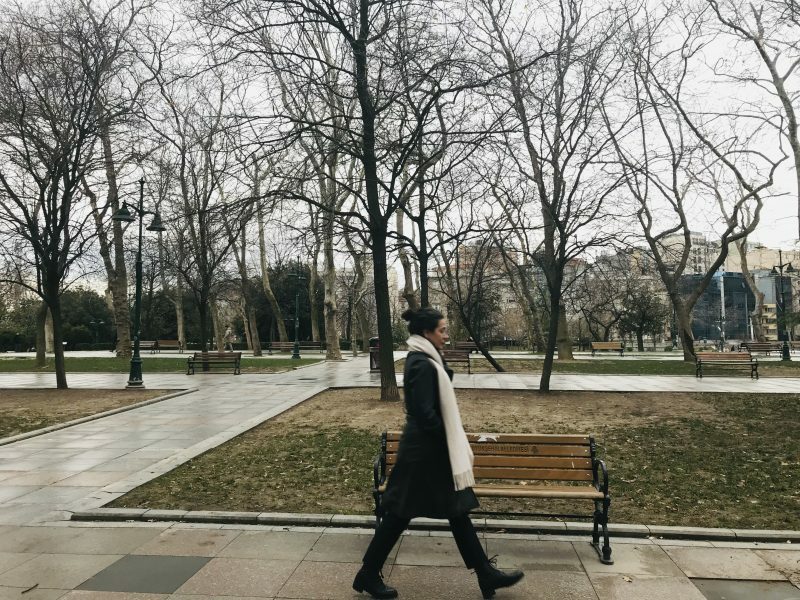 He worked out an itinerary with us where he guided us through Istanbul as its history unfolded. We began our day at the Hagia Sophia. The call to prayer occurs 5 times a day throughout the city but in the area of the Hagia Sophia I found it much more pronounced or maybe I just was paying close attention. The Hagia Sophia has the remarkable distinction of being both an Orthodox Church and Mosque. 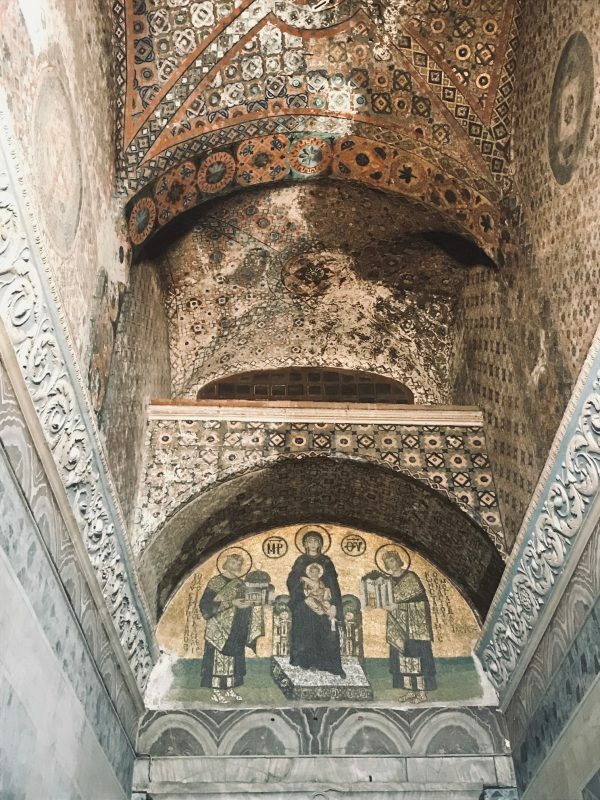 There is an abundant collection of stunning frescos but it was the mosaics that took my breath away. The thousands of tiny tiles that make up the extraordinary works of art covering the ceilings and walls are truly magnificent. The Blue Mosque is smaller compared to the enormous size of the Hagia Sophia and is the only mosque that includes 6 minarets. And unlike the Hagia Sophia, the Blue Mosque is an active mosque and cannot be visited during prayer. Not surprisingly this mosque is drenched in blue tile. We stopped for lunch at a traditional restaurant recommended by locals and our guide Alp. Sultanamet Kofteci is located close to the Blue Mosque and is known for kababs or koftes. If you visit make sure you eat at the one that has “1920” printed on their awning because there are a few with the same name nearby that are not nearly as good. Much later in the evening we dined at Karakoy Lokantasi, a popular restaurant known for its mezzas (small plates). The restaurant was packed with locals which is always a good sign when traveling. We feasted on octopus, lamb liver, roasted eggplant, sautéed spinach, sea bean salad, and fried zucchini—another great meal! 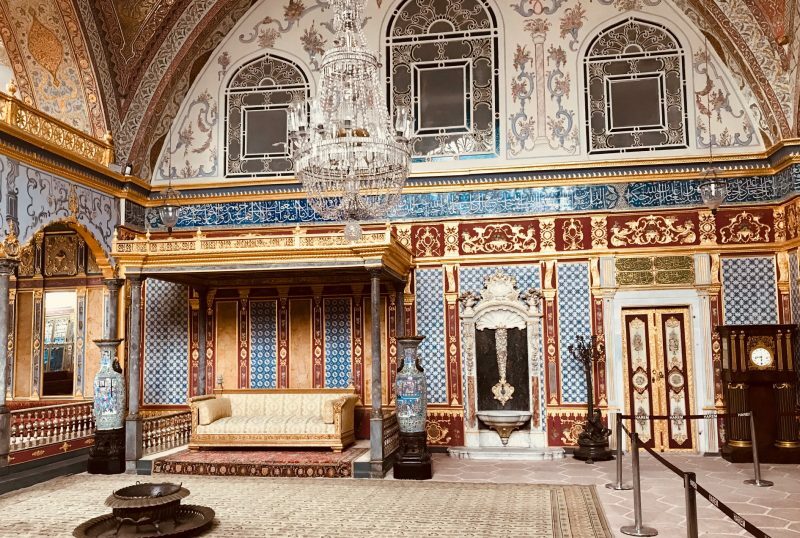 Most travel books will suggest that you not visit the Topkapi Palace during high season because it is simply too crowded and suggest you visit the Dolmabahçe Palace instead. During high season bus loads of people moving in large groups taking up enormous swaths of space will have you ditching this tour looking for the closest bar. Not so in January! The grounds are expansive and hardly touched by human traffic. In the off-season you can move about without any intrusions. The Topkapi Palace is truly a wonder but it was the harem that piqued my curiosity. There are so many salacious stories surrounding the sultan’s harem that it’s hard to get a good fact check. What is confirmed is that hundreds of women were sent to the palace, most of whom were slaves. These women or girls were educated, clothed, and taught proper etiquette at the palace in the hope of garnering favor with the sultan. However, life as a concubine was not particularly agreeable. The queen mother could make life extremely difficult. And then there were the sultan’s other wives and favorite concubines to contend with. Punishments were severe and killings were not uncommon. Alp explained that the women living in the harem (as many as 300 at a time) were not only chosen for their beauty but in order to be taken into the harem they had to also bring a talent to the table not unlike the Miss America Pageant. From the palace we made our way to the Spice Market. Just taking in the vibrant colors of the market teased my brain. And inhaling the aromas had me buying whatever I imagined I could fit into my carryon for my trip back home. 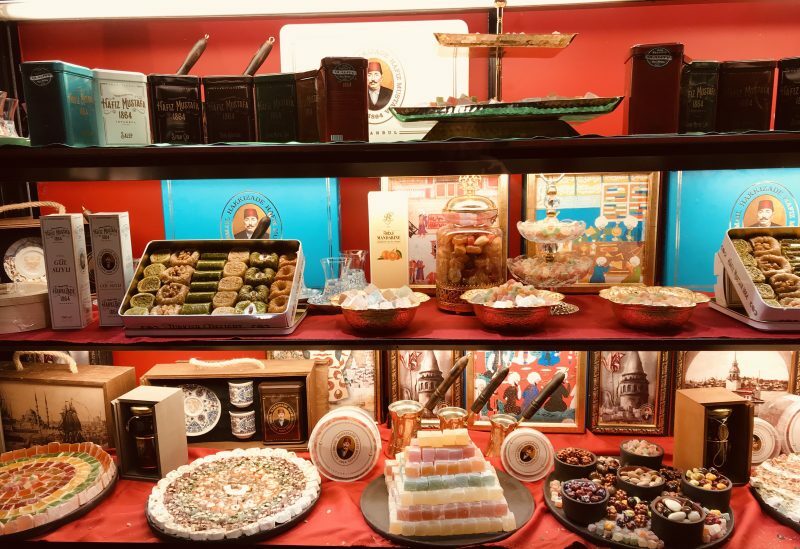 There were mountains of teas and spices available for sampling along with a variety of baklavas and more Turkish delights. At the market we walked over to and up a staircase to a hidden gem of a restaurant, Pandeli. It was originally opened 117 years ago and maintains its original interior and tile work. Mustafa Ataturk, Queen Elizabeth ll, and Audrey Hepburn all dined here. The food is superb and we were sorry we didn’t have the opportunity to return to try other dishes. 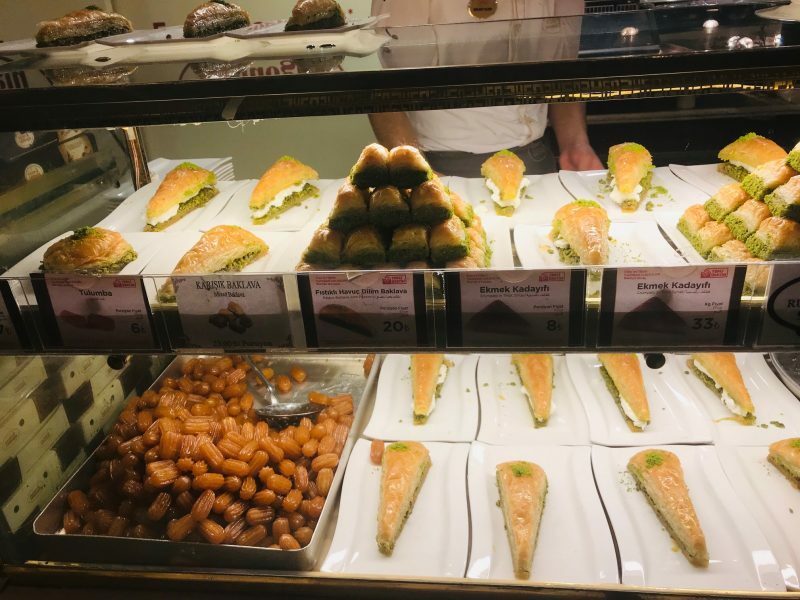 We passed by the Orient Express Depot on our walk after lunch and stopped at Istanbul’s most popular baklava cafe, Karakoy Gulluoglu. I wasn’t too terribly excited because I am not a huge fan of honeyed pastries. I was wrong about baklava or at least this baklava. This pastry was light and full of pistachios with only a hint of honey. We made our way back to our hotel slowly and began the process of packing because our uncivilized wake-up call at four-thirty the next morning would give us only enough time to grab coffee before we left. It was late when we finished packing but we had one more meal left in us. Too tired to venture out we decided to dine at the Ritz Carlton. Not surprising, we were delighted by another fantastic meal and great service. Good-bye Istanbul. Until we meet again. *If you are planning a trip to Istanbul and are interested in touring with Alp contact me.